© Robert Long. All rights reserved. 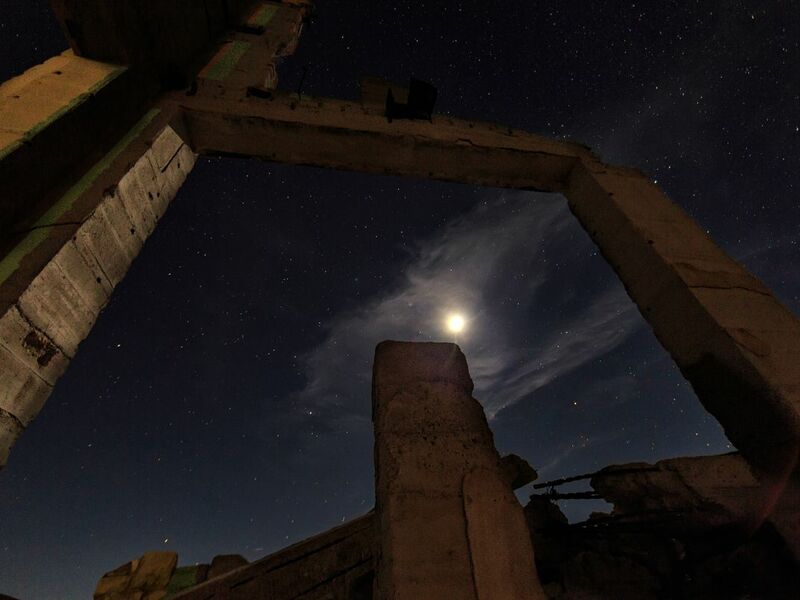 This shot was taken during a nighttime visit to the Rhyolite ghosttown. My purpose was to practice night shooting. I was lucky enough to have nice moonlight and wispy clouds. This shot is of remnants of the old bank building.